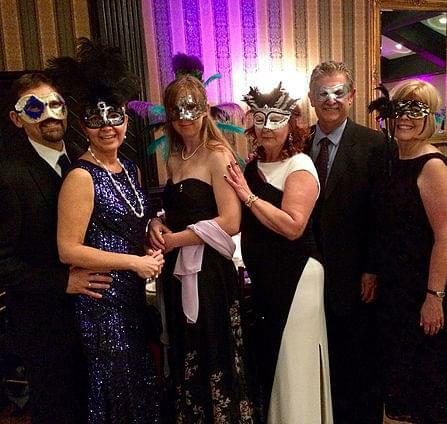 At Arthur Murray, you learn to dance through personal lessons, group classes and extremely important practice sessions/parties. 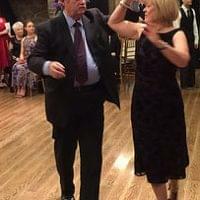 We target each of the three fundamental areas and help people from all walks of life become confident dancers at any social event, to any music, on any dance floor and with any partner.Due to the effectiveness of our interrelated system, students are able to learn the most popular dances in a relatively short period of time. 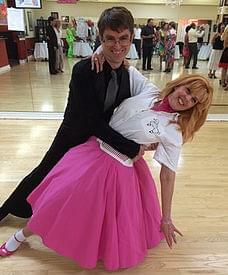 Learning to dance with the Arthur Murray System is easy, quick and more fun. These lessons are scheduled to suit your time availability. During a student’s one-on-one personal lesson, they receive personalized instruction that comfortably guides them through learning and being able to apply the information. 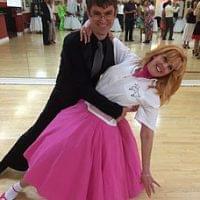 The Instructor spends the time necessary on the students’ technique in lead/follow, footwork, timing, styling and general dance improvement. This is the power of our personal lesson! An up-to-date record of everything the student has accomplished on each lesson is kept as part of their instruction progress. Our group classes are offered every evening and are an important supplement to a student’s personal instruction. Group classes allow students the opportunity to refine the dance patterns they know while being introduced to new variation patterns in their dance level. Additional emphasis is put on self improvement (practicing your own foot work) through the repetition of patterns as well as experiencing lead/follow with a variety of partners. You will meet other students in the studio and feel much more comfortable when attending your initial practice sessions. Since learning to dance requires eventual muscle memory (not brain memory) which is attained through use and repetition, the Arthur Murray system provides an opportunity for students to practice their learned material right in the studio. This is an important practical part of your dance program. Practice refines your leading/following skills, improves your floor craft and allows you to gain confidence to dance with any partner to the rhythm of any music. We hold scheduled dance practice sessions for all of our students on Friday nights. Practice makes permanent muscle memory and students have fun dancing in a relaxed, social, supportive and nurturing environment. We always play a wide variety of music that students can easily dance to. All teachers participate and assist new students in getting them comfortable on the dance floor right away. This is the perfect opportunity to practice in a realistic social atmosphere what you’re learning. And, just like all the weddings and parties you’ll be attending, you never know when we might throw in a Conga Line, Line Dance, Mixer or special exhibition! These events are held at the home studio several times a year. Students prepare and present one dance of their choice during a special practice party. This is a great opportunity to polish that dance and provide the student with proof of progress in their learning. An Arthur Murray Medal Ball is a gala dance event honouring students who graduate from one level of their dance program to the next. It is part of the Arthur Murray Medalist dance system. 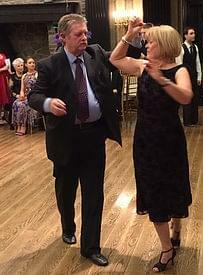 Medal Balls also offer students the opportunity to enjoy their social dancing in a fun and elegant setting with other students from different Arthur Murray Dance Centers. To enhance and fast track your learning of this muscle memory skill the Arthur Murray Organization offers many opportunities throughout the year for our students to take their dancing from the comfort and familiarity of their home studio and truly test their dance accomplishments at joint local events or travelling Arthur Murray Canadian and International dance functions. A Showcase is a one day event joint with other Arthur Murray studios where students present dance sequences with personalized choreography. These routines make an exciting addition to the Medalist Program because they allow the development of showmanship and musical expression along with social dance skills. For the students, this solidifies the dances performed as a result of the effort and practice put into it. An exciting several day dance event that brings students together from many Arthur Murray Dance Studios to showcase their dancing, in their level, age group and in dances of their choice. This requires specialized dance training to polish and perfect choreography, technique, and styling. The trip away, usually to beautiful locations in US, Europe or another continent is a priceless experience and vacation highlighting the powerful benefits to one’s dance development.